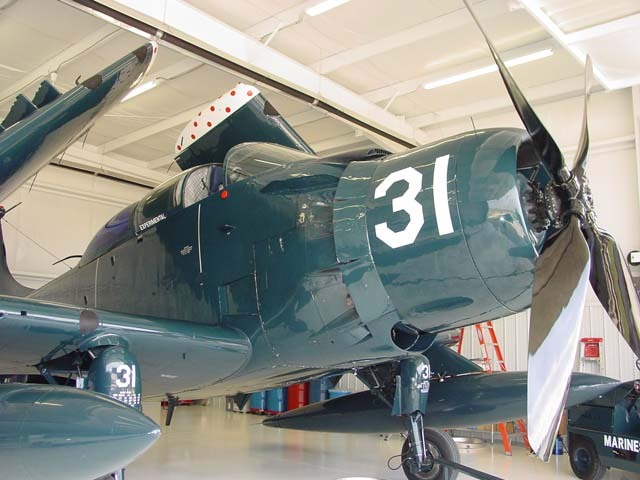 This Skyraider is fully operational and flew into the Creve Coeur Air Port (suburban St. Louis) about 10 days ago. It takes up two thirds of a hanger--even with the wings up. You will note the twin 150 gallon wing tanks, but there were also two 300 gallon tanks stored on the floor of another hanger. 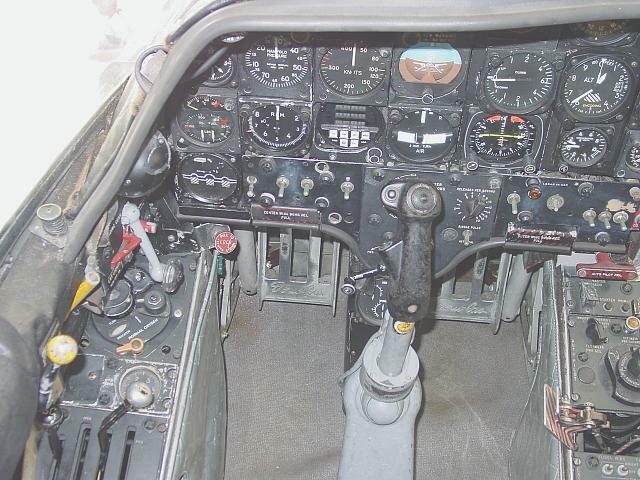 The owner is going through a mountain of red tape to make it legal as a trainer/warbird. 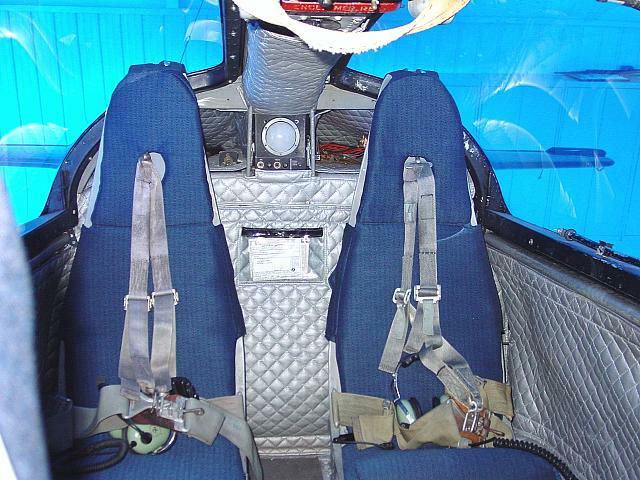 The interior doesn't look anything like a typical bubbletop A1H Skyraider. 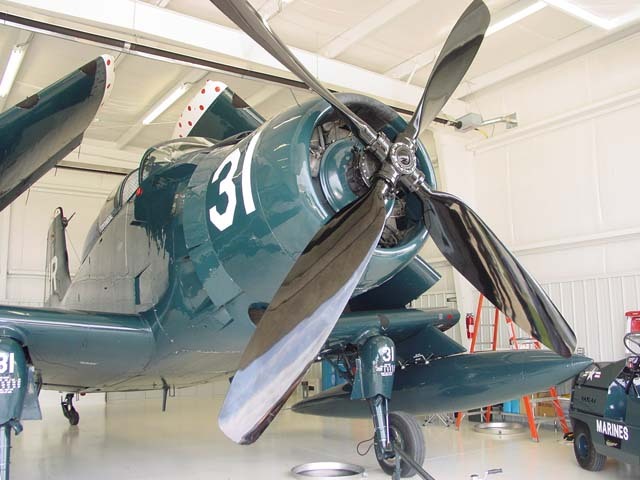 It will appear in 6-7 airshows this summer and fall, but the owner wasn't ready to announce just where, till all of the paperwork is done. It is unclear if he will fly at the airshows...or just be part of a static display. Sorry I missed his arrival to the airport. 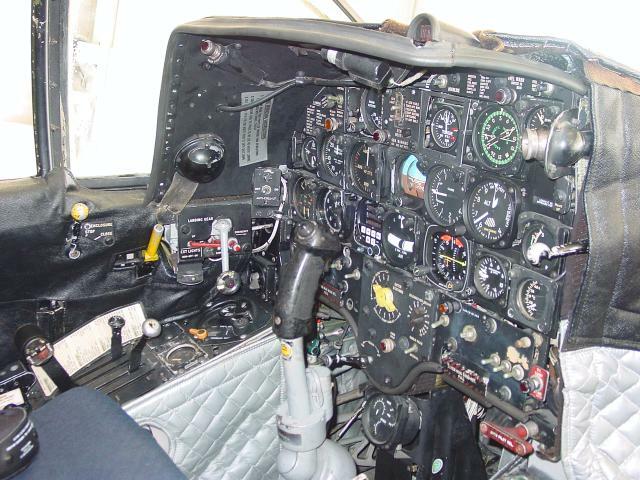 The noise must have been like music to Skyraider fans. 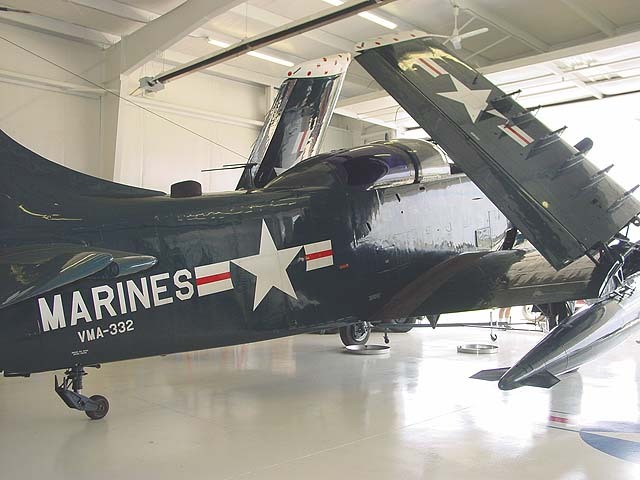 I had no idea Skyraiders were that huge. 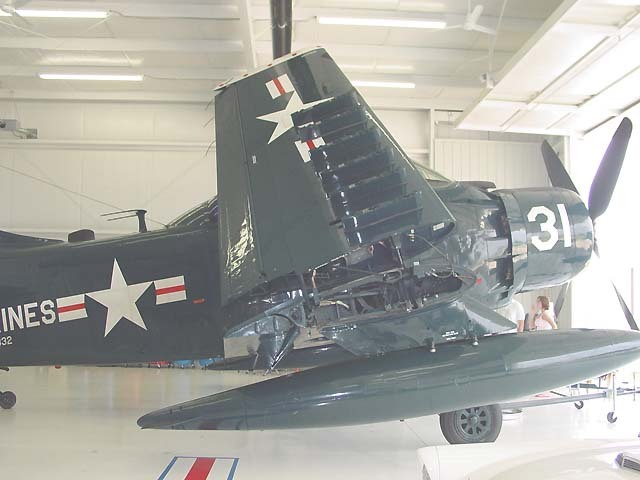 I can assure you this Skyraider is in flawless condition.